Festive (& easy!) 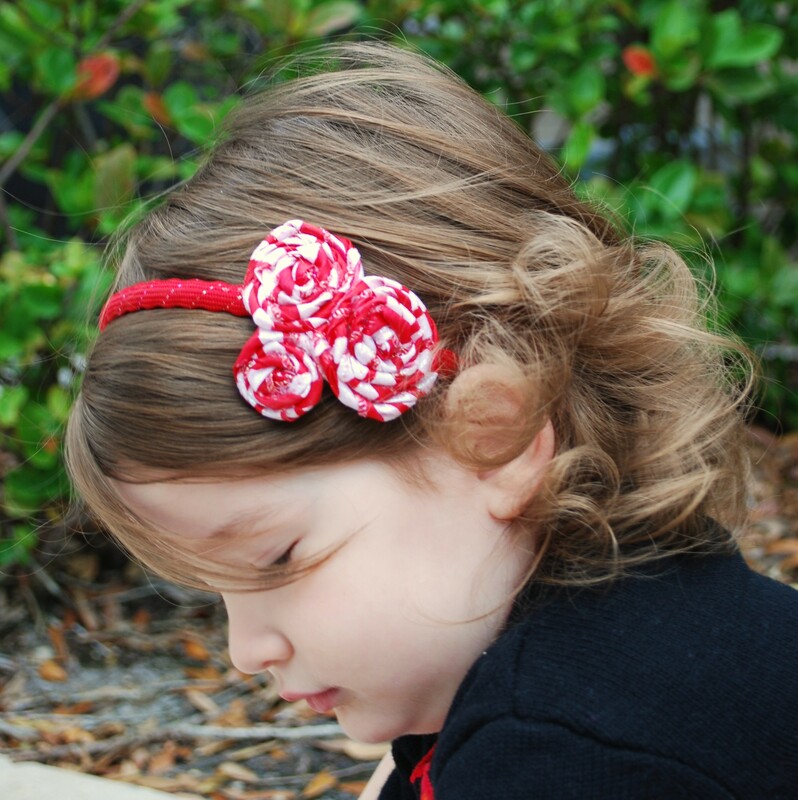 headbands for the holidays. This is the first crafty thing I’ve made in months. Please at least act surprised. But it was easy, inexpensive, & turned out beautifully! 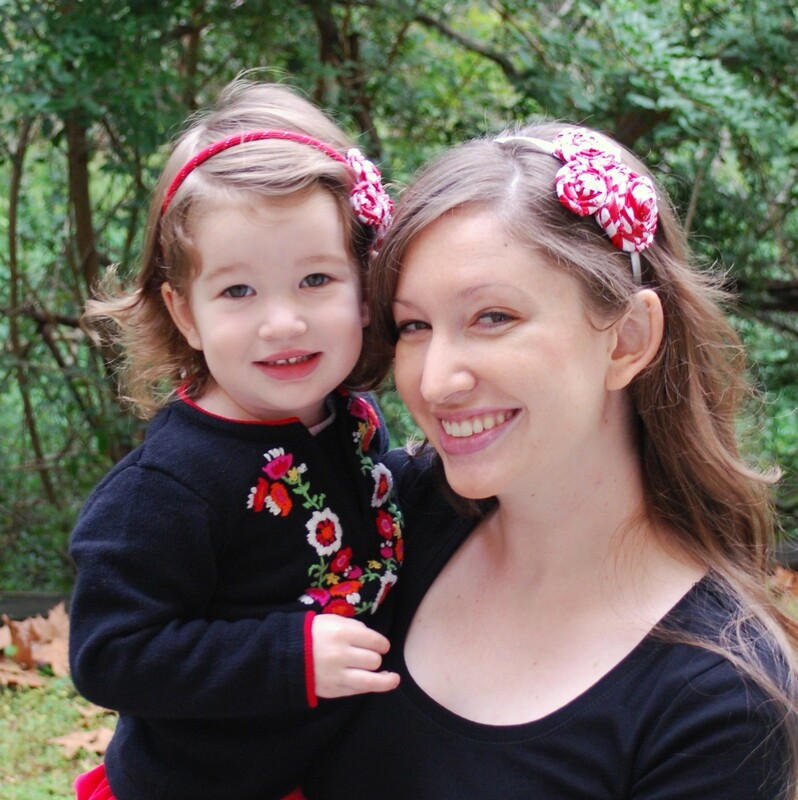 I was inspired by this holly headband I found on Pinterest, but alas, not having green felt or her super-spiffy handheld sewing machine (or any sewing machine! 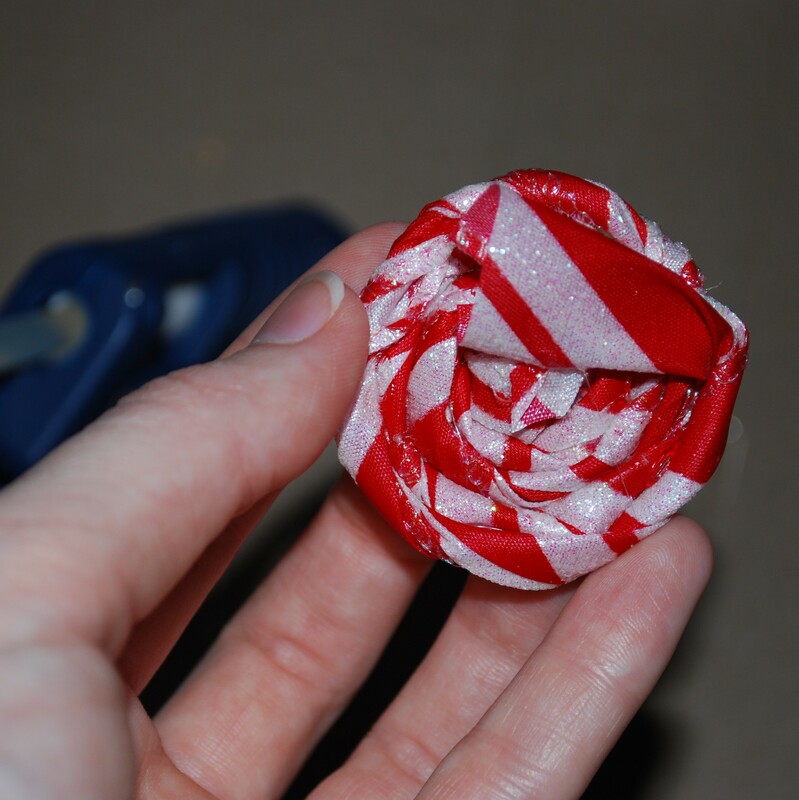 ), I decided to use some candy-cane-striped ribbon I had on hand from last year to make these beautiful peppermint roses. Take some of your ribbon (no need to be exact… the large rose was almost my armspan; the small one, maybe a little over a foot) & tie a single knot an inch or two from one end. The knot is your rose’s center & the extra inch or two will serve as sort of a “handle” to give you as few glue gun blisters as possible while making your rose. Hold your “handle” in your non-dominant hand. 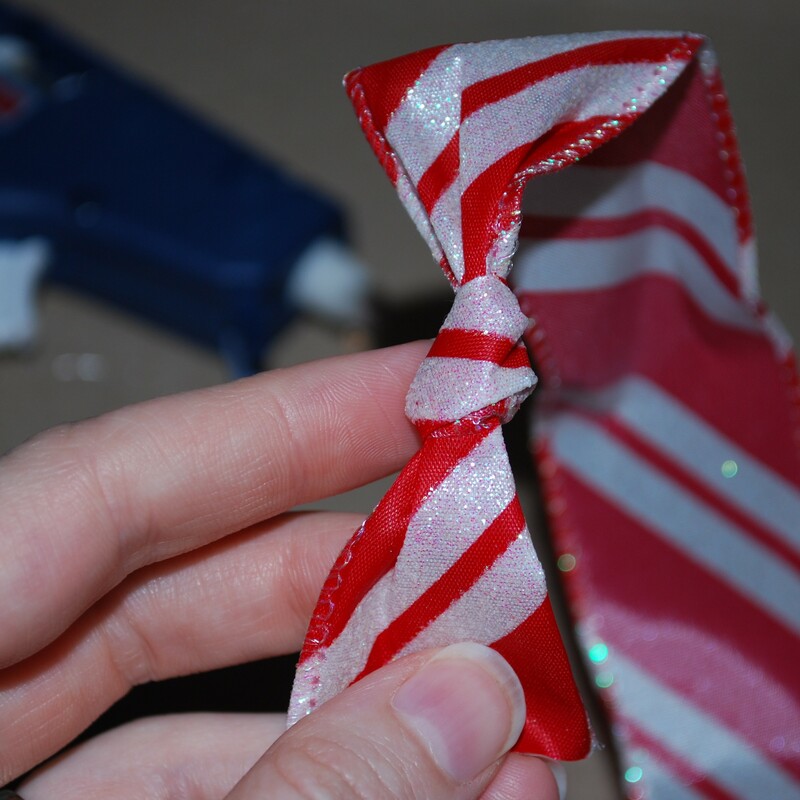 With your other hand, fold your ribbon in half lengthwise (make sure the pretty side is out, of course) & start to twist it. You’ll keep twisting as you go. 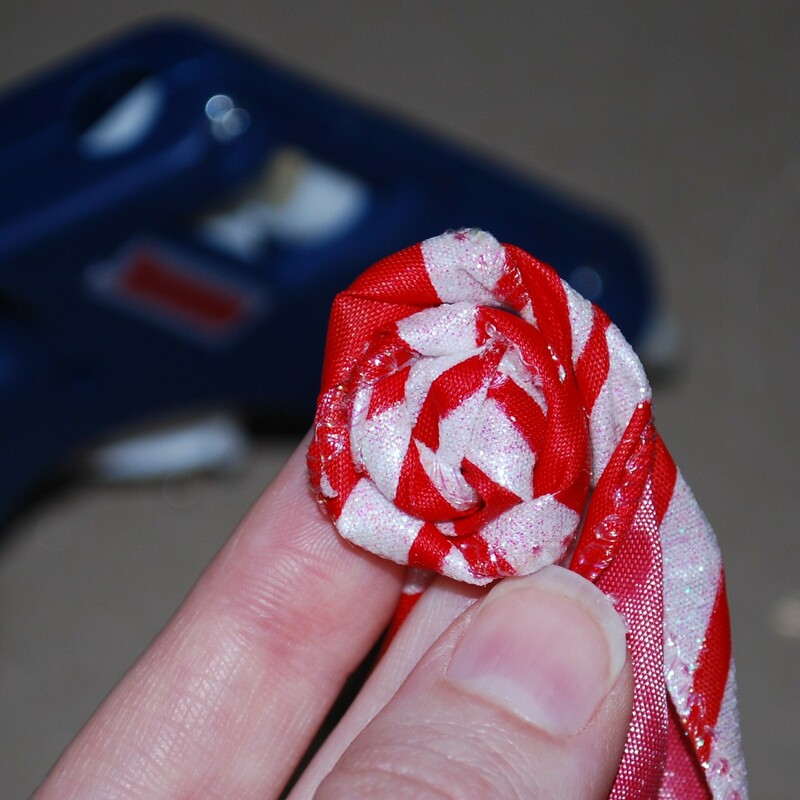 Dab some hot glue on one side of your knot & very carefully wrap the twisted ribbon around it. Keep going around in a circle, dabbing hot glue every quarter-turn or so, so it becomes a spiral. Continue until you either are almost out of ribbon or feel your rose is big enough. 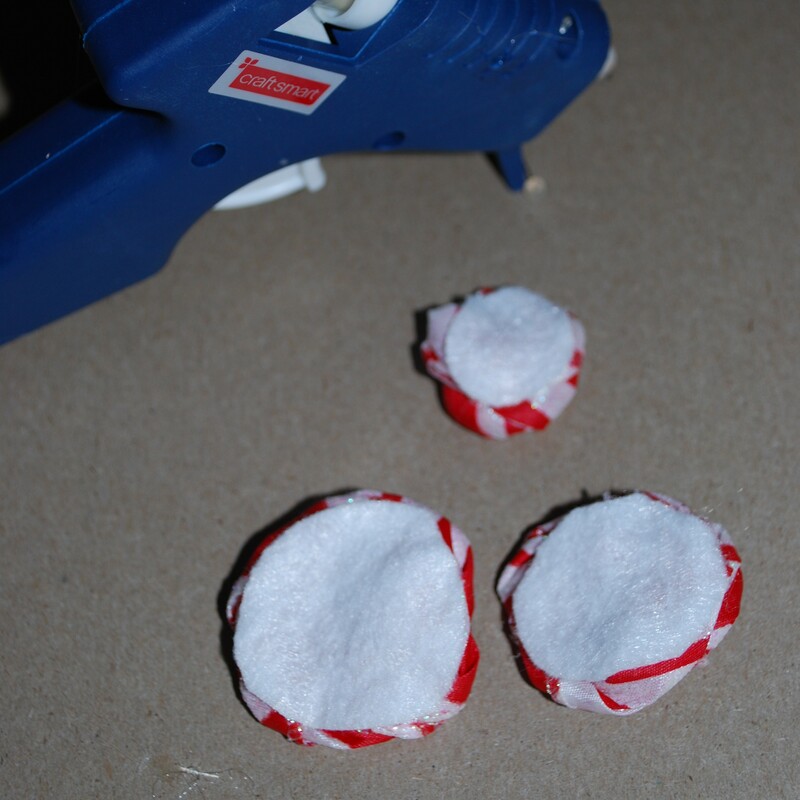 Make an extra-good dab of hot glue for your last one, leaving an inch or two. You should have 2 end bits sticking out the back now. Cut off your “handle” as close to the knot as you can without injuring anything. Twist the end bit behind & secure with some more glue. Repeat until you have as many roses as you want in the sizes you want (try to make them all slightly different sizes). Now cut some felt circles to be just smaller than your roses. You want it to give the whole rose some structure & stiffness, but you don’t want it to be visible from the front. Glue them to the back of each rose. Arrange the roses how you want & dab glue on the outsides of the roses to secure them where they join. Then figure out where you want them on your headband (beginning an inch & a half to two inches above the top of the ear is usually your best bet) & put a line of hot glue on the headband, then stick it to the backs to your roses. Cut a strip of felt a half inch or more wider than your headband that will still be invisible from the front but also touch all of your roses (the example below is a little sparse on the coverage of the small rose on the right). This strip of felt is what keeps everything together, so glue it on WELL. 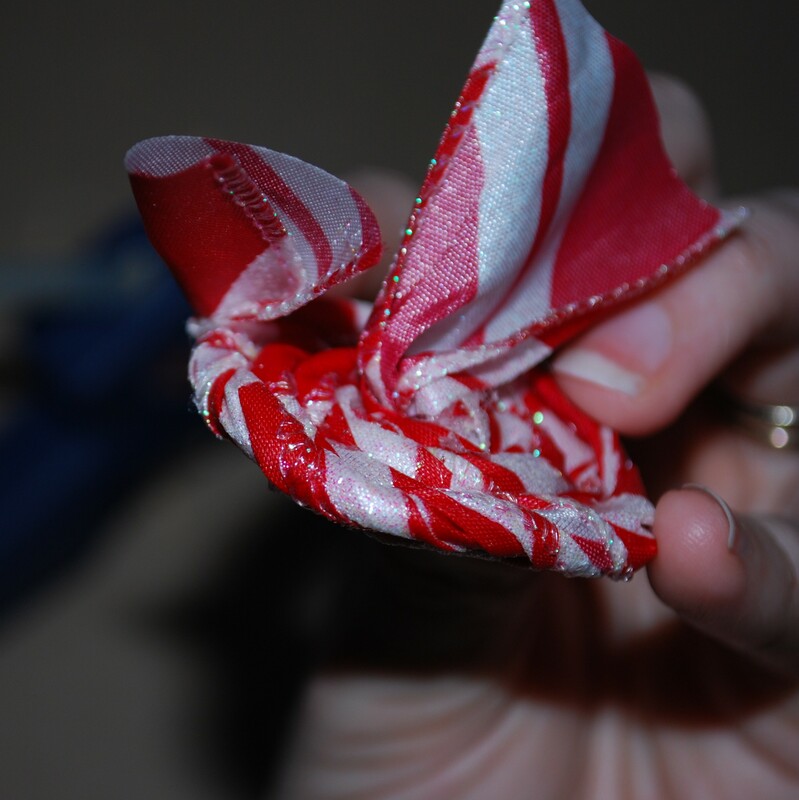 I started with a line of glue along the headband, then securing with another line of glue to the left & one to the right. Let her show it off at your next holiday party! Maybe even make one for yourself to match! 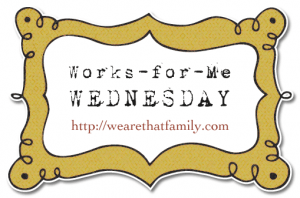 You’ve probably seen these floating around (pun intended) the blogosphere in the past, but they are so cute & easy I thought I’d share them anyway. 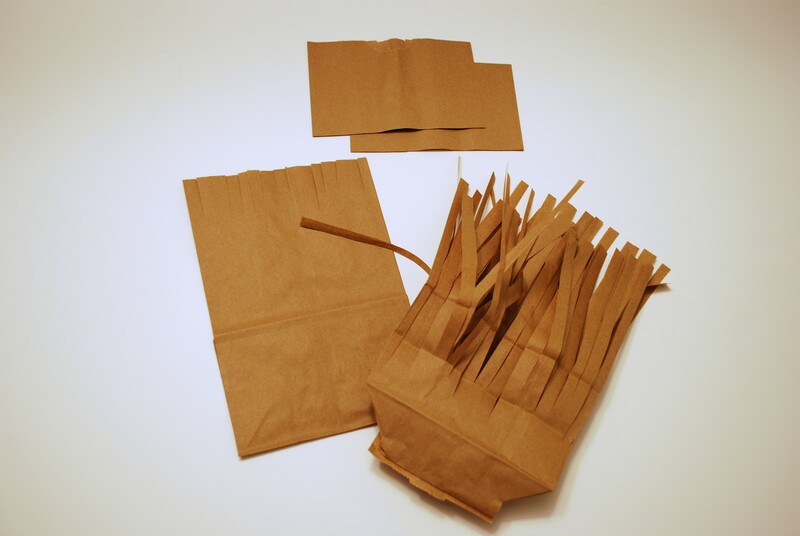 Cut a few inches off the tops of your bags. Take 1 bag & cut thin strips down about an inch. Then open the other bag & fold out the bottom so you don’t cut into it. Cut thin strips almost all the way down the length of the bag. Now here’s the hardest part of the whole process: putting bag #1 inside bag #2. Open both bags, then pull the bag with the long strips around the bag with the short ones. Horrible explanation, I know. You can figure it out & say it better than I can, I’m sure. Fill the bag with goodies. Then place the pretzel rod in the middle & gather the bags around it. Make sure all of the strips make it into your handful. Tie the ribbon around it. Really tight. Then pull the pretzel rod out a couple inches so it’s still firmly in there, but the broomstick looks more to scale with the bottom of the broom. 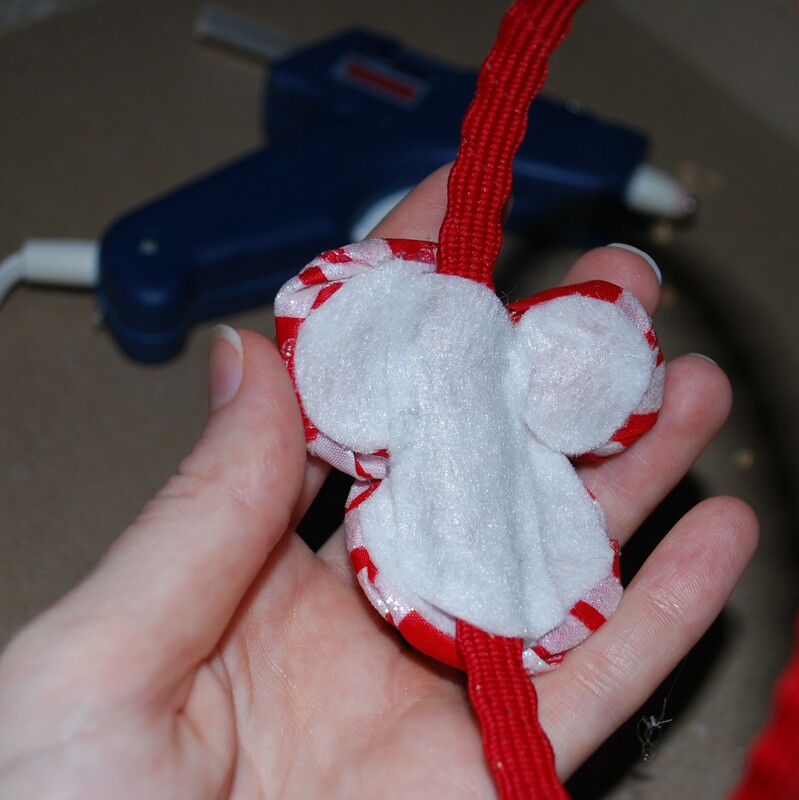 Fluff out the little strips above the ribbon, & you’re done! In addition to working for Halloween, they’d be great at a Harry Potter party. Just finish them off with a golden Snitch nametag & (this brilliant idea comes from My Husband Who Refuses To Read The Books But Still Knows Everything About The HP Series) a hippogriff feather! For us, one of the hardest things about settling into a new place has been getting pictures on the walls. I always want some complicated vignette, & My Husband The Gracious always agrees to go with it, until 78 nail holes & 1 frustrated husband later, we give up. I first saw this idea on one of the many design shows on HGTV that I kind of watch if nothing else is on but don’t really follow (Except Design Star — that one I follow. The next day. When I’m folding laundry. ), so I don’t remember which one it was. Since then I’ve seen it used on multiple blogs, so I thought I’d give it a shot. Trace your frames onto the newspaper with your pencil, trying, if you can, to line at least one edge up with a precut edge to keep it as straight as possible. You may need to tape a couple pieces together. Cut them out. Turn your frame over & find the hanging hardware. 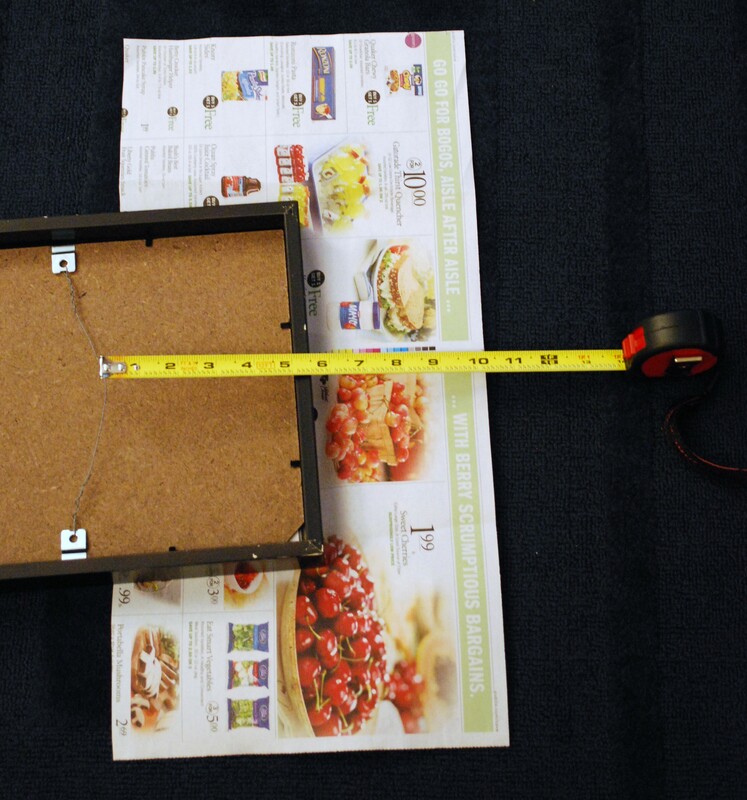 Use your tape measure to measure the distance from the top & sides. Find the corresponding spot on your newspaper, measure it up, & mark the intersection with a big bold “x”. Now make some tape rolls with your painter’s tape & stick them to the 4 corners of each piece of newspaper. Position them on your wall & move them around until you like what you see. Now use your level on one of the uncut edges (i.e. edges you didn’t cut because they came that way) to make sure it’s straight & perfect. Oh, & make sure your newspaper is oriented right so that your “x” isn’t at the bottom or on the back! Now for the fun part! Hammer your nails into the middle of the x’s, right through the newspaper! How cool is that? 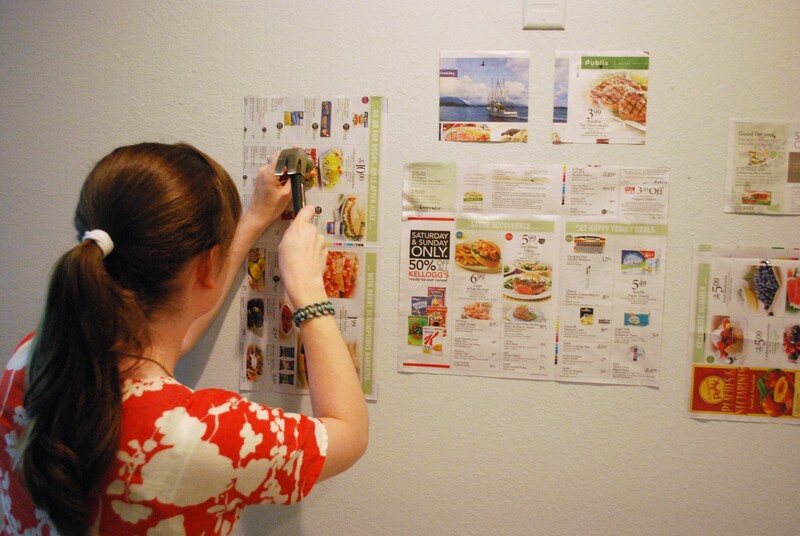 Finally, rip off the newspaper & tape, & hang your pictures. Beautiful! & no angry husbands, to boot! 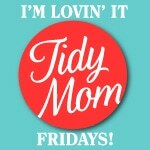 I’m guest posting over at Alli-n-Son today! 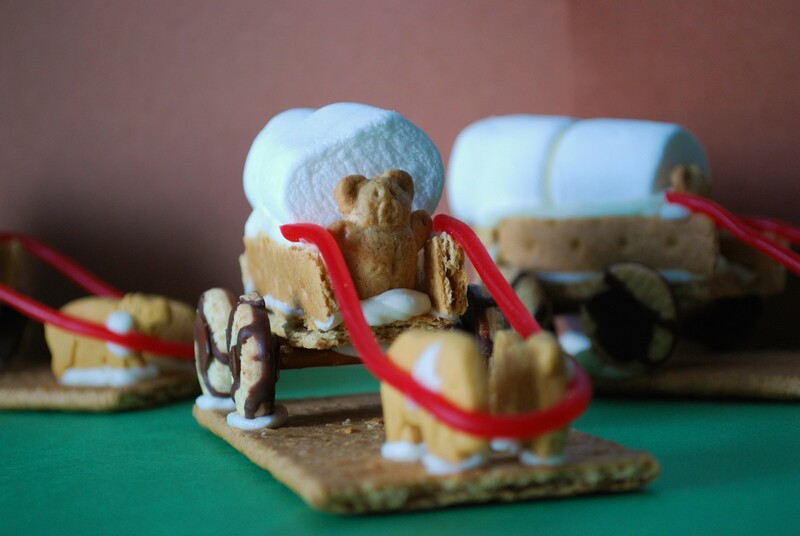 Head over there to check out the fun edible covered wagons I made with The Munchkin to teach her about the pioneers! Please leave her a friendly comment. I hope to see you there! 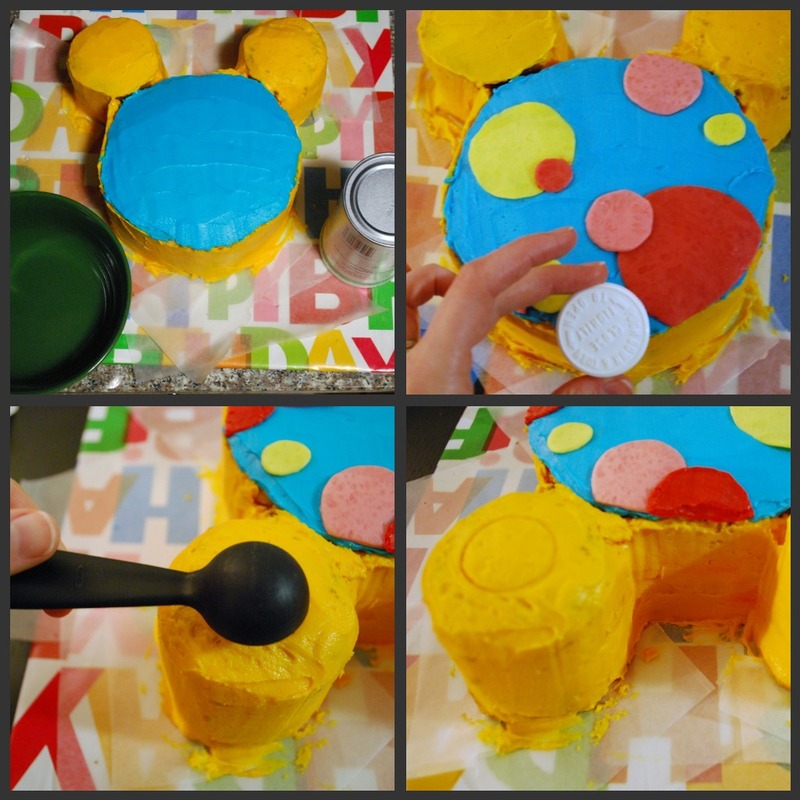 As promised, here is the tutorial for the Toodles cake I made for The Munchkin’s “Mickey Mouse Clubhouse” party last weekend. Check out the rest of the party here. Disclaimer: I am NOT a professional cake decorator — as I’ve mentioned before, I haven’t even taken a Wilton class — so I’m not pretending to be an expert, but I can give you a few of the tips & tricks I use. 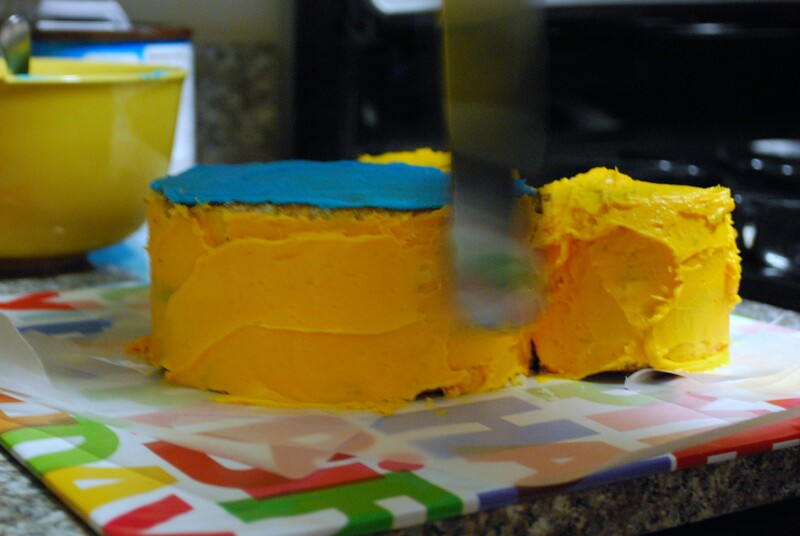 If you ARE a professional cake decorator, just skip straight to the part about flattening the Starbursts for the dots. First, I baked a cake. (Duh.) I really like the Easy Yellow Cake recipe in the KitchenAid manual/cookbook. It’s easy, not too sweet, & holds up well while still staying moist. I’ve included the recipe at the end. A few days in advance of the party, I baked two 9-inch round pans & then carved them to my desired shape by finding some things in my kitchen that were the right size & shape & then using a sharp serrated knife to cut around them. In this case, I used a cereal bowl & the bottom of my meringue powder container. Then I double-wrapped each piece in two layers of Saran Wrap & put them in the freezer until I needed them. Freezing the cakes is important for 3 reasons: 1) It keeps the cake from going stale, 2) It allows you to break up the process so you don’t have to do it all at once, & 3) It reduces crumbs on the cut edges while frosting. Then I made frosting. Lots of frosting. In this case, I used the extra left over from these Cars cakelets. In case you’re as dissatisfied as I am with my “add some powdered sugar &/or cream until it looks right but will probably end up being too thick anyway” method for frosting, try this: 2 sticks of butter, 6 cups powdered sugar, 2 tsp. CLEAR vanilla (best for dyeing), & milk or cream to desired thickness. Remember thinner is better for spreading. If you’re paranoid like me about running out, you may want to add half again as much of everything. 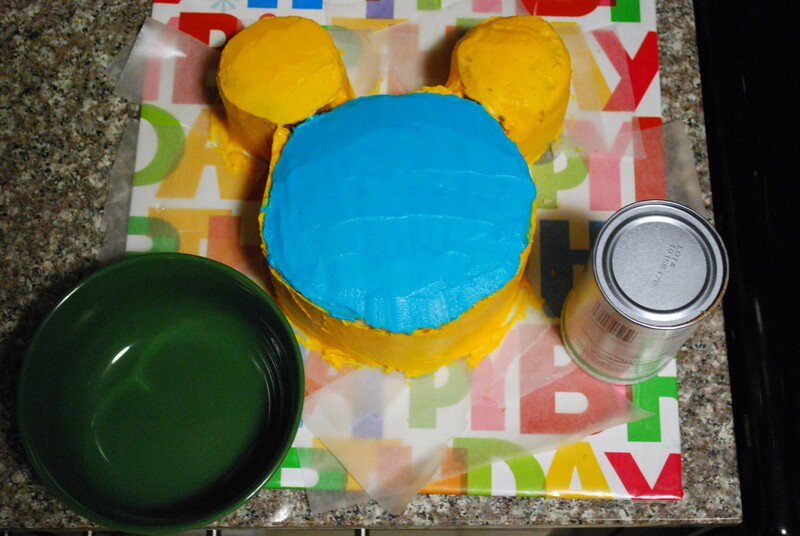 I filled the cake with the delicious chocolate frosting I used for Mater, because I believe yellow cake just goes with chocolate frosting, but you can do what you want. If you’re not crazy like me & making a zillion cakes in 1 week, it’s probably not worth it to make up a whole other batch of frosting just to fill your cake. First, take a cake board or some cardboard & wrap it in some pretty paper. This sounds silly, but it really does make a HUGE difference in the presentation. Pull your cake pieces out of the freezer & unwrap them, then slap a dab or two of frosting under the cake (all 3 pieces parts if they’re disconnected like they are here) to keep it from sliding off your pretty board. Fill your cake, if needed. Put several pieces of wax paper around the edges of your cake to protect your cake board. When we’re done frosting, we’ll slide these out & cover any gaps with a pretty frosting border. Then pull the cake back out of the freezer. Grab your frosting, offset spatula, a dish towel, & a bowl or pie plate full of hot water. Sound weird? Just trust me. Spread your frosting, then smooth it by submerging your spatula in the hot water & then drying it completely with the dish towel. The warm spatula kind of re-melts the frosting to smooth out any bumps for you. Now for the Starbursts. When I was trying to think of what to make the dots out of, my first thought was fondant. But you already know about My Husband The Opinionated’s feelings on the subject; plus, I didn’t want to either buy 3 colors of fondant or go to all the effort of learning how to dye it myself. Then I remembered a cake that my friend Laura had made for my baby shower 2 years ago: she made flowers out of flattened Starbursts! Perfect! So I called her up & she shared with me how to do it. 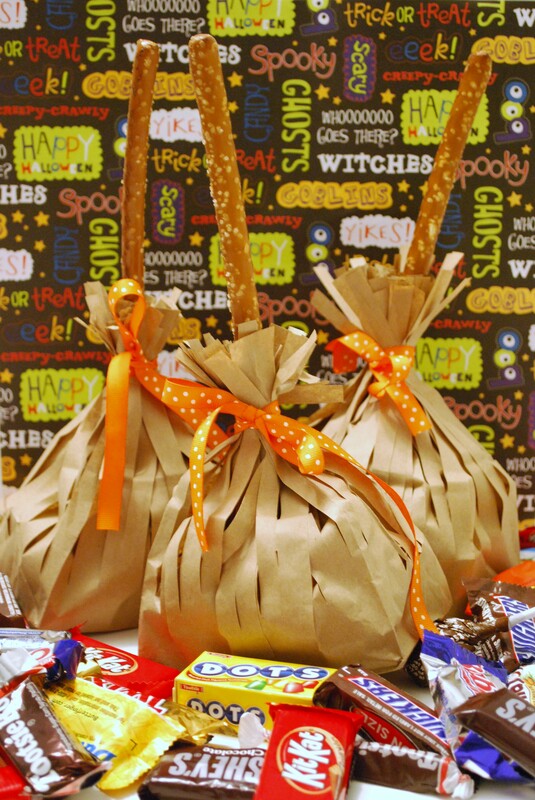 Unwrap a few Starbursts & stick them between the layers of a folded sheet of wax paper. Microwave it all for about 7 seconds, just enough to soften them. Use a rolling pin to flatten them to your desired width & thickness, stopping often to pull them off of the wax paper so they don’t stick. 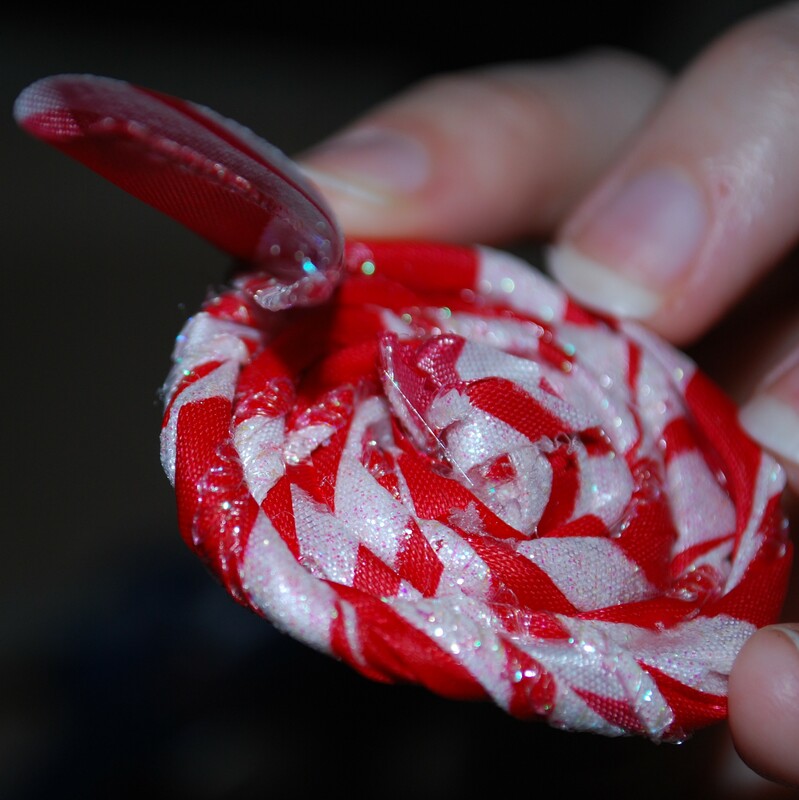 For a larger shape, you can even melt two candies together, side by side. That’s what I did for the largest red circle. Now here’s the funny part. To cut them to the desired shape, use… scissors! You can use a stencil if you want to get them perfectly round, but I found it easiest to just eyeball it. I wound up making way more than I needed, so we just ate the extras. Position them where you want them on your cake, & trim edges to fit if they’re on the edge. You should be able to just press them into your frosting, but if they’re overlapping one another, just pipe a tiny bit of frosting on the bottom of your top one to secure it. Now put your frosting into piping bags (I use disposable ones because I don’t decorate often enough for the nice ones to be a savings, & I just prefer the ease of tossing them) with a coupler in the bottom of each to make it easier to switch tips. The tips I used were a 5 writing, 18 star, & 16 star. I Nnever trust my freehand artistry skills, so I always try to find things to trace. Sometimes it’s a little odd, but it works. For the “poles” on Toodles’ face, I used part of a Zicam bottle cap. For the circles inside his ears, I used my half-tablespoon. I make small depressions in the hardening frosting to trace. Then I actually did freehand the gear detail on his ears, consulting a picture I printed off the Internet every single step of the way. I filled in all the red details with my writing tip, & chose to smooth the “poles” the same way we did the frosting base, just with a smaller spatula. But I think they ended up looking too much like the Starbursts, so if I did it over, I’d leave it textured like I did the gear details. Finally, I used the smaller star tip to do a shell border around the top in red (I think yellow would have been more accurate to the show, but I was worried about running out) & then carefully slid the wax paper out (I used my small spatula to keep the frosting in place) & used the larger star tip to do a shell border around the bottom in blue. This cleaned up all the edges & just gave it a more polished look. I also wrote The Munchkin’s name on the front side of the cake using my writing tip, but I’m not going to show that to you because I’m not ready to reveal her identity. So there you go! I hope that this tutorial is helpful; if you wind up using it for your Munchkins, I would seriously love to see pictures! 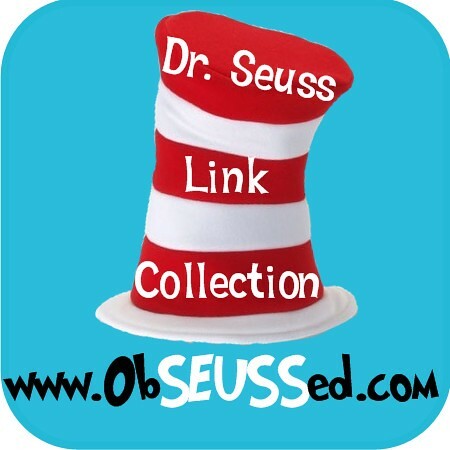 Comment with links, or email me (on the “About” page)! Last, but not least, here’s the cake recipe. Happy thoughts go to my good friend Mandy, who saved me by emailing it to me when I couldn’t (still can’t — hopefully it’ll show up after we move?) find my manual. Add dry ingredients to mixer bowl. Add shortening, milk, & vanilla; use flat beater to mix about 1 minute at speed 2. Scrape bowl. Add eggs; mix about 30 seconds on speed 2. Scrape bowl. Beat at speed 6 for 1 minute. Pour batter into prepared pans & bake 30-35 minutes or until toothpick inserted in center comes out clean. Cool in pans for 10 minutes, then drop pans gently on the counter to free the cake from the sides of the pans & invert onto a wire rack to remove. Cool completely. Carve, freeze, & frost as above. 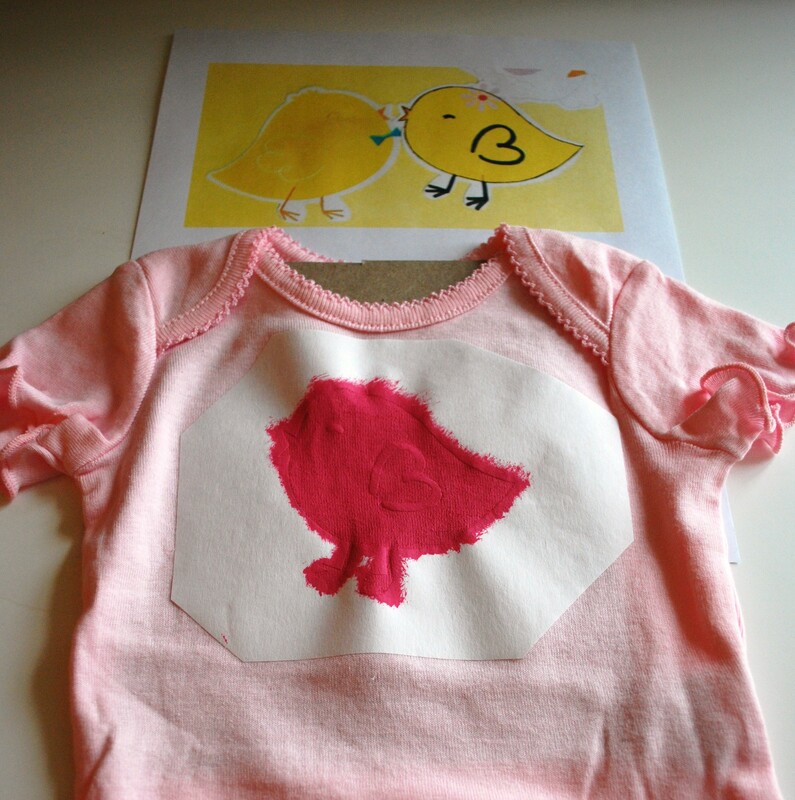 Freezer Paper Stenciling: How to be crafty when you’re really not. I’m not crafty. I can’t draw, I don’t sew or knit, or paint, or even take pictures that well. But I can trace! & if you can too, you’re in luck! You’ll be able to do something like this! 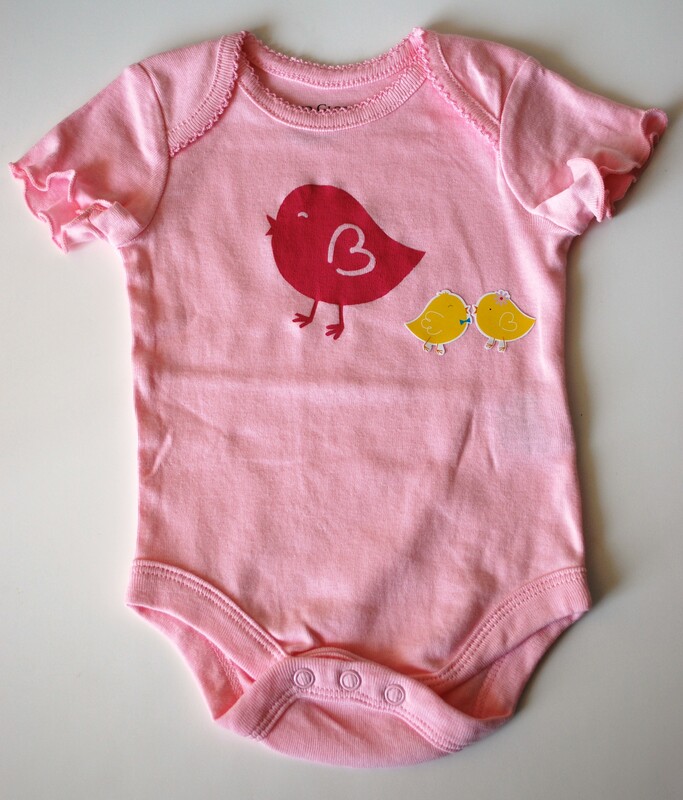 My friend Marcia is having a baby girl next month, so I made this for her baby shower last weekend. It took less than 2 hours, & only $3! Oh, & zero artistic ability. 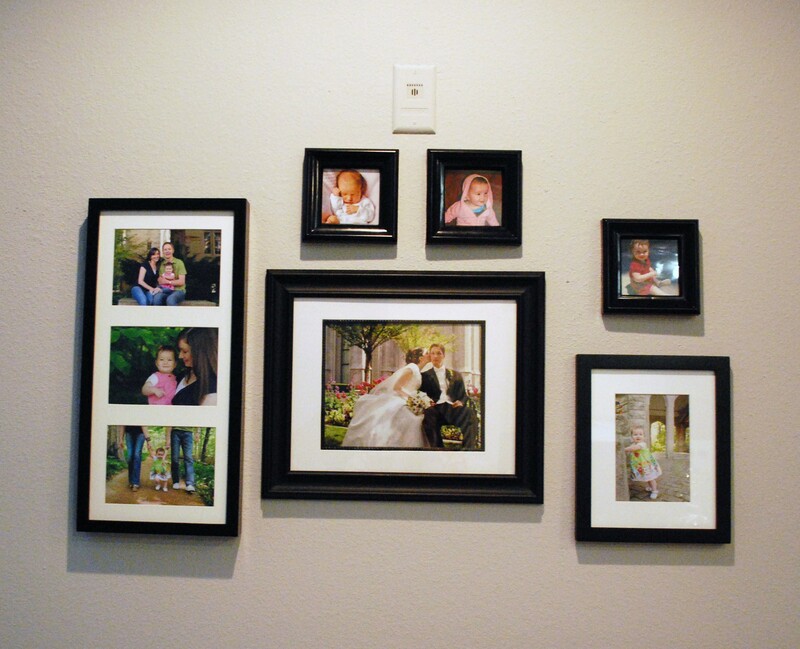 Once you’ve found your picture, resize it to the size you want. 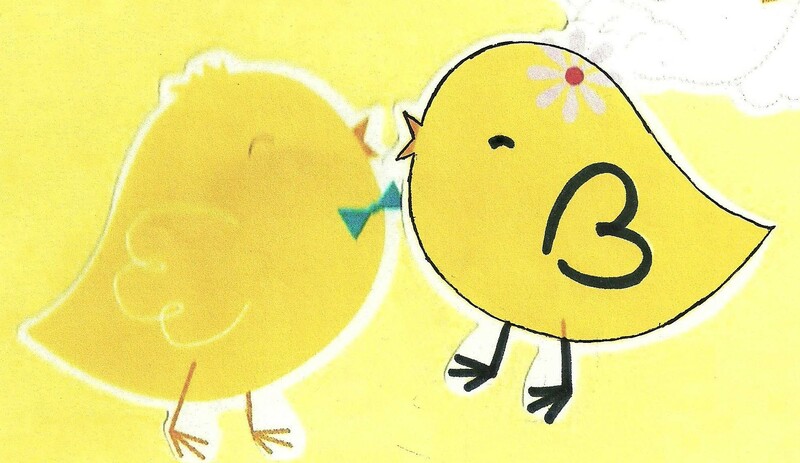 I just put one of The Munchkin’s sticker pictures in my scanner, cropped out everything else, & resized. I also used my photo-editing program to really amp up the contrast to make them easier to see. They’re not perfect, but they’re easy enough to trace around. Next, print it out & use a black ink pen to trace your outline. You want a fine tip so you can really get some sharp corners. For any detail work, like the wing, eye, & legs, use something at least as thick as a Crayola marker; the lines will be much easier to work with that way. 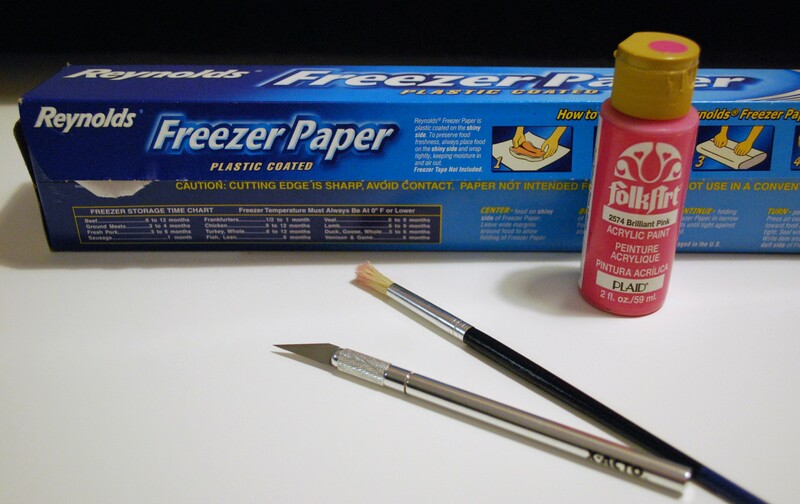 Now get out your freezer paper & use a pencil to trace your design onto the matte (not plastic-coated) side. Be sure to trace around your thicker detail lines. Also, for interior details like the eye & wing, trace them onto a separate piece of freezer paper. You’ll be cutting them out & ironing them on separately, so you might as well make as little work for yourself as possible by spreading things out. Unfortunately, I was so excited to iron the stuff on that I didn’t take pictures of the next couple steps. So I hope that my instructions make some sense. 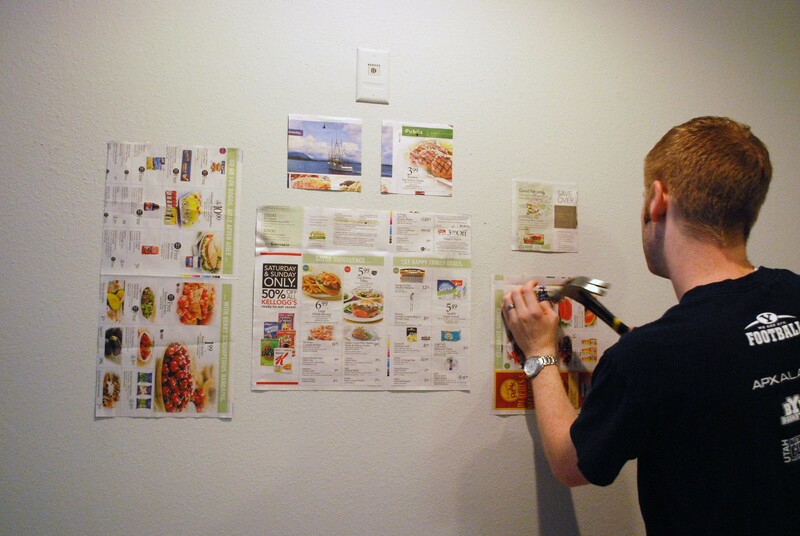 Now use your X-acto knife to cut out your design. Work slowly. 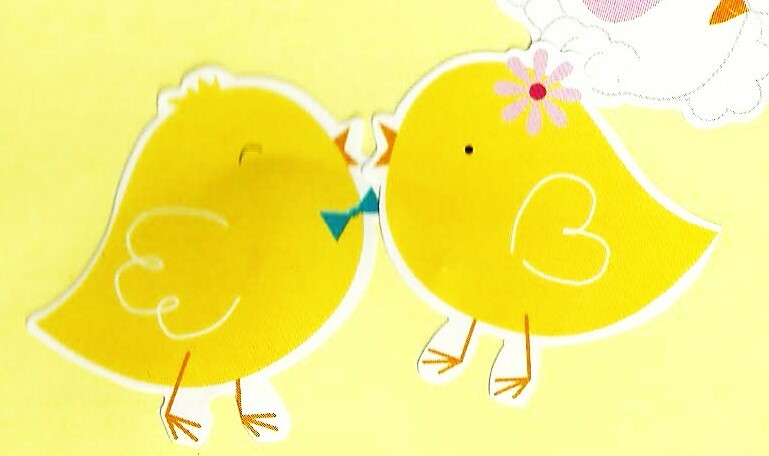 But keep in mind that for long lines, like the curves of the chick’s body, it’s best to try to do it in one smooth stroke if you can to avoid jagged edges. For the wing on the separate sheet, I actually used scissors for a lot of it because I felt more comfortable that way. That works fine when you’re cutting around something, but when you’re cutting inside something (like the chick’s body) the X-acto is a must. I cut mine out on top of a cereal box panel to avoid slicing gashes into my table. Now iron the design on, piece by piece, starting with the largest design (this should be your exterior outline), with the iron on the cotton setting. Take care to really get the edges down with the tip of your iron so paint won’t leak underneath. Once the freezer paper has cooled (this won’t take long), put at least 1 sheet of cereal box cardboard inside your shirt to protect the back & start painting. 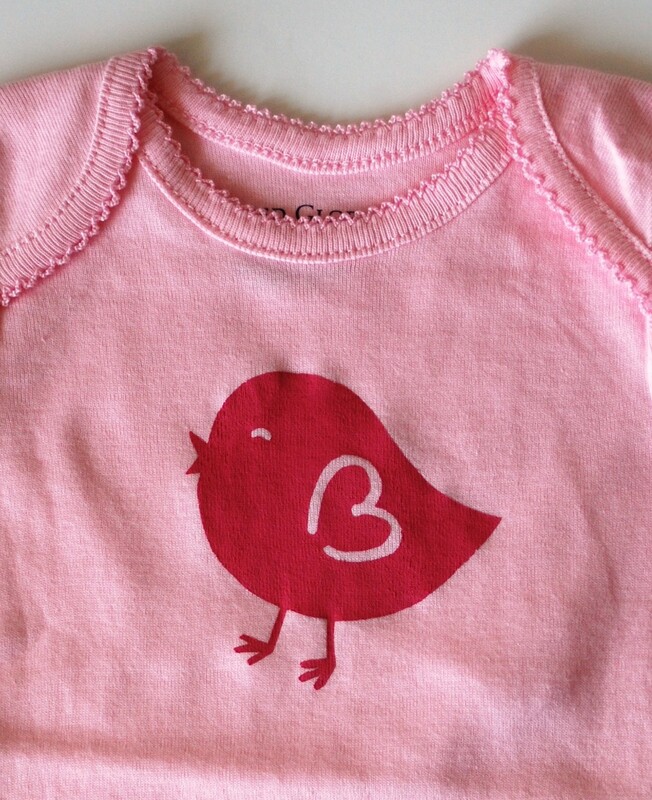 For the vivid, screen-printed look on my onesie, I used a round brush & kind of just dabbed it on, & did one more coat once it dried. For a faded, vintage look, you can use short brush strokes (I did this to make an awesome Beatles t-shirt last year for free… please don’t tell their merchandising company). But whatever you do, make sure that you get all the way up (& over!) the edges of the stencil so you have crisp lines. At this point, you need to resist the urge to pull it off & see your brilliant work. Let it dry completely, like overnight or more. Then you can pull it off. For finer details, like the feet & wing, work very slowly & have your X-acto handy to help free the paper from the paint & fabric. Now you can admire your brilliance! To heat-set it, just place doubled-up paper towels or pieces of scrap fabric on top of & underneath your design & iron it on the cotton setting again for several seconds. This project has so many fun & budget-friendly applications: birthday girl/boy t-shirts, personalized sweatshirts, canvas bags for teacher appreciation gifts… the possibilities are endless!